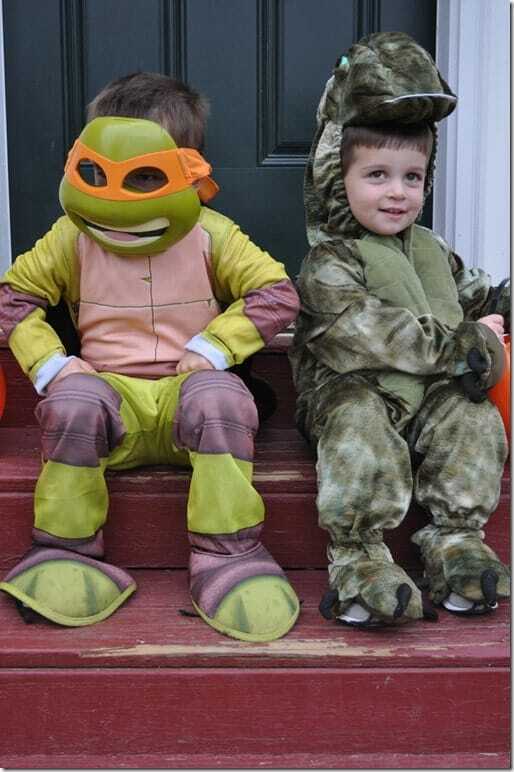 Home » What We're Doing » Family Activities » Halloween Success! 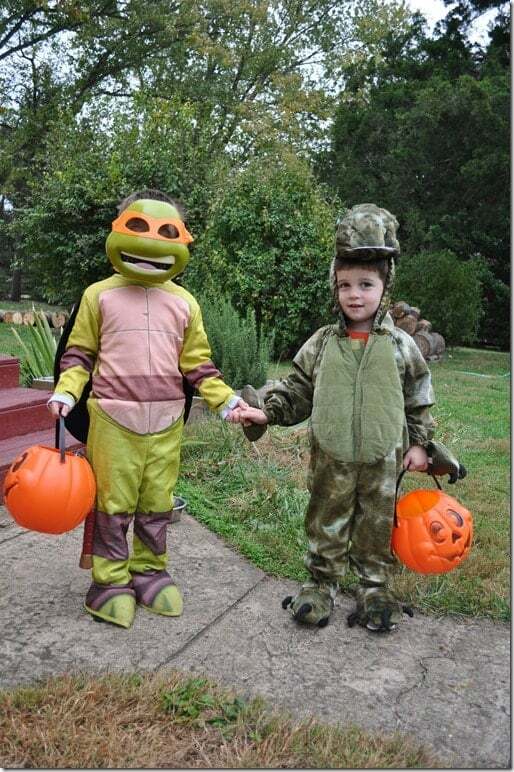 The costumes stayed on the entire time. There were no tears. And they came home with full buckets of candy. 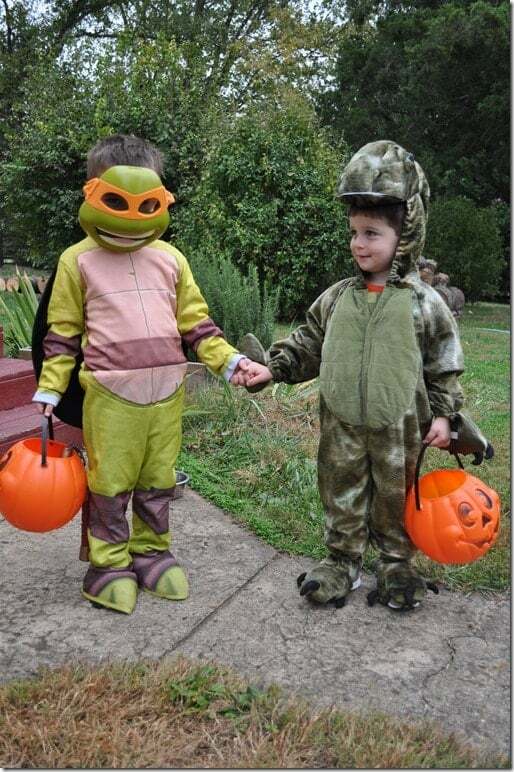 Halloween success for T-Rex and Michelangelo!